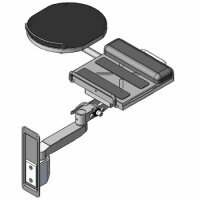 Wall mount extended keyboard holder(model #60218 wall mount series) - Sallas Industrial Co., Ltd.
Sallas - wall mount extended keyboard holders are designed to support a keyboard platform for holding keyboard or a NB platform platform for holding notebook computer. Arm side to side rotation 180 degrees. Platform side-to-side rotation 360 degrees. 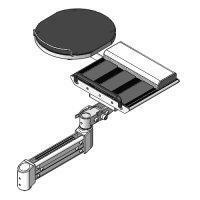 Counter force balanced platform tilt adjustment and foldable keyboard platform up to 90 degrees.